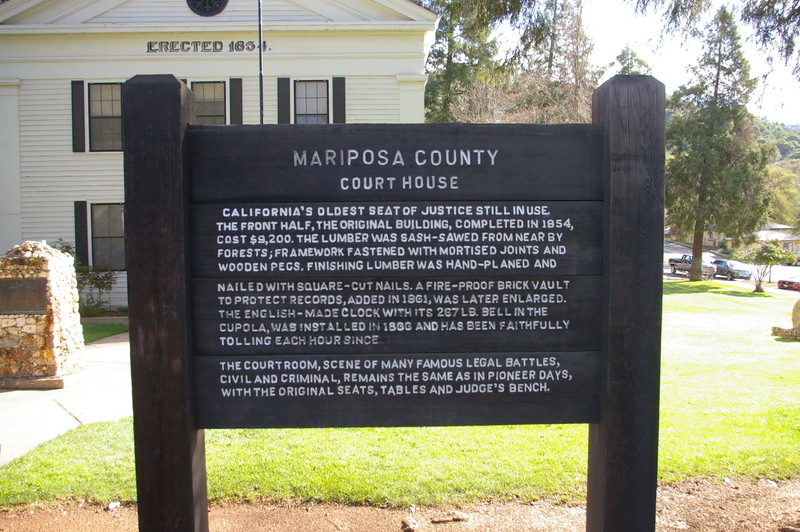 Mariposa County is named for the Spanish word meaning “butterfly”. 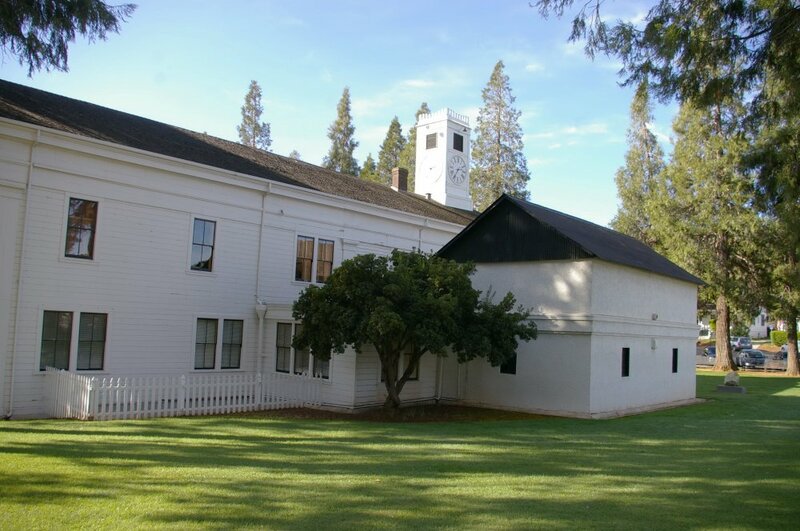 Description: The building faces southwest and is a two story white colored wood structure. The southwest front has a central entrance. The windows have shutters. A pediment with circular openning is above the second story. 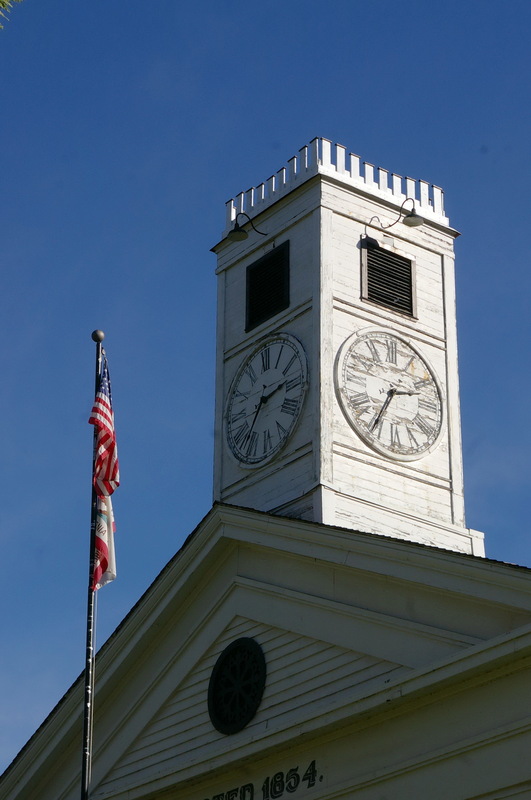 Installed in 1866 is a square white colored wood cupola above the pediment. The roof is pitched with a wide eave. 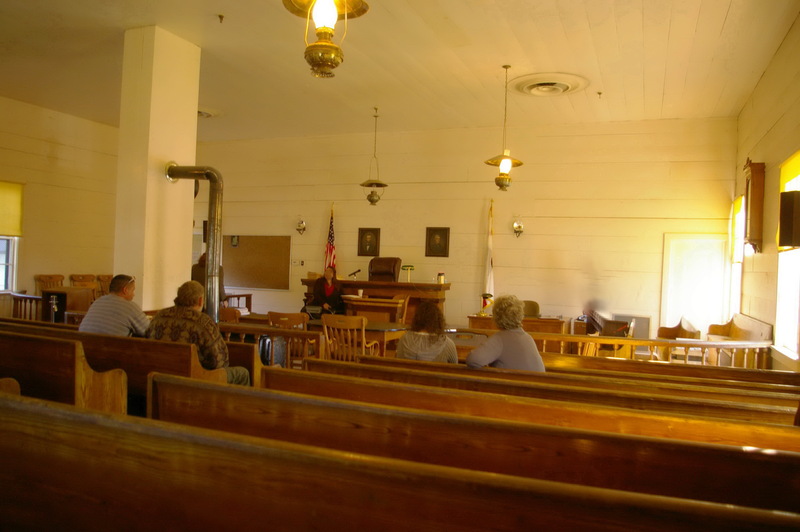 The courtroom is located on the second story and has a wood stove, An annex was constructed in 1900 on the north side. 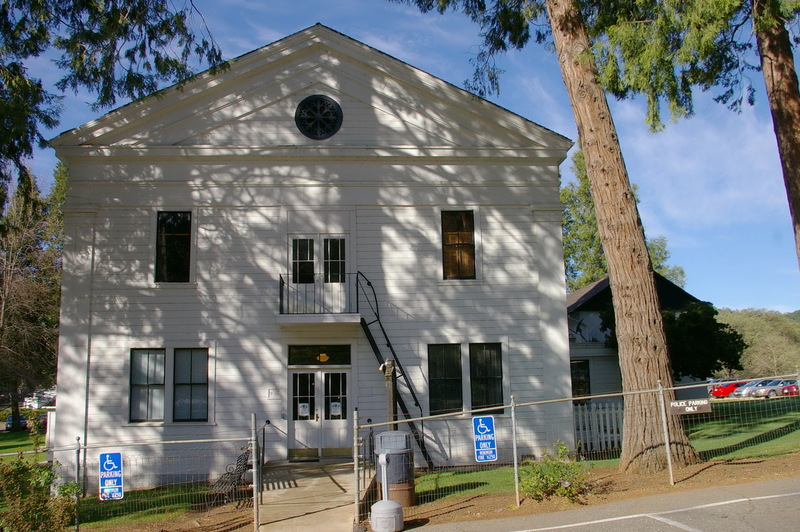 Note: On April 21st, 1854, the Court of Sessions approved a contract for Perrin V. Fox and Augustus R. Shiver to build a 40½ by 50½ foot two-story courthouse. 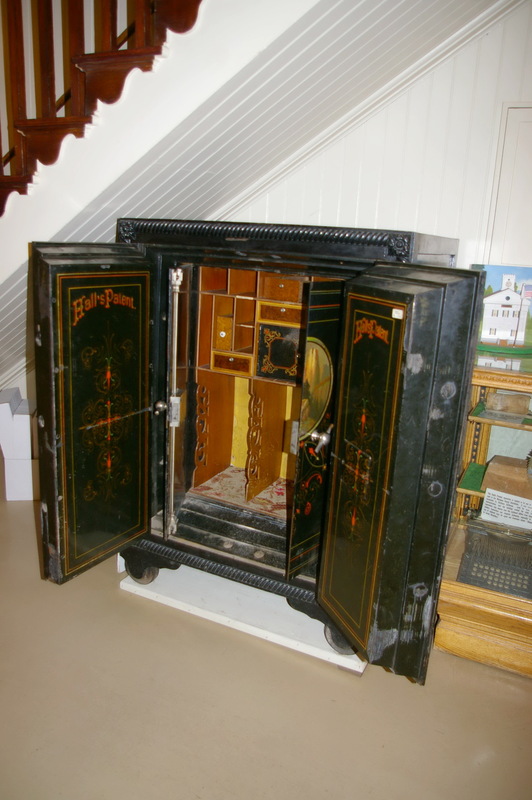 Land for the site was donated by William R. Owen, though actual ownership of the land rested with the John C. Fremont’s “Las Mariposas Grant”. 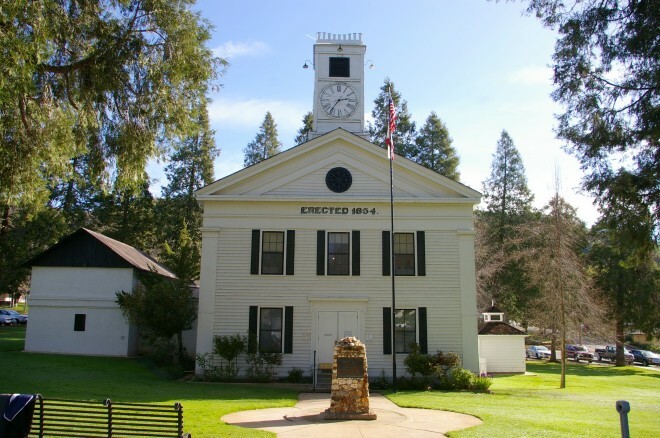 In 1860, after the courthouse had been constructed for six years, Fremont deeded the land to the County for the sum of one dollar. 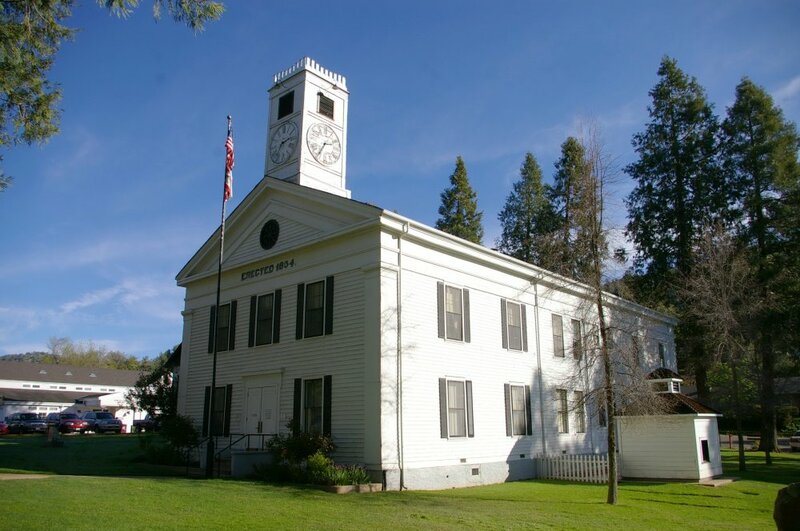 Note: The courthouse is the oldest oldest courthouse in California after the second oldest courthouse in Trinity County and the third oldest courthouse in Colusa County.